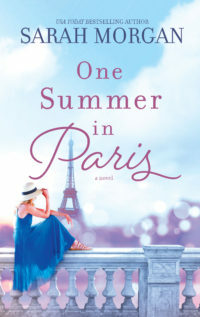 ONE SUMMER IN PARIS available in the UK and US now! Subject: ONE SUMMER IN PARIS available in the UK and US now! 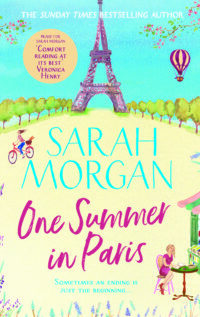 I’m so excited that ONE SUMMER IN PARIS is out now in the UK and the US. If you’ve read my books before (and if you have, thank you!) then you’ll know that as well as romance, I often explore themes of friendship in my stories. If we’re lucky we continue to make friends throughout the course of our lives. Our friendship circle often includes people of our own generation, but sometimes we find ourselves with older and younger friends. For years I enjoyed a friendship with my elderly neighbour, who often shared stories of her life during the war (when a bomb dropped on the railway line, she jumped off the train and walked the rest of the way into London, refusing to alter her plans. Obviously, I was never able to complain about train delays again!). Our age difference, close to five decades, was never a barrier to conversation. If anything, it made the friendship richer and deeper. Intergenerational friendships bring with them a broader perspective and that was something I was keen to explore in One Summer in Paris. Grace is in her forties, and Audrey is eighteen. Both are running from heartache, and they meet by chance in the beautiful city of Paris and form an unlikely friendship that ends up changing their lives. This story is about friendship and family, but there is also a romance set against a backdrop of what is surely one of the romantic cities in the world. I hope you enjoy reading the book, and as always you can connect with me on social media if you’d like to chat about it. I love hearing from you, and seeing your photos of the book out there in the wild and I’m so grateful for all your support, kind words, and the time you take in writing reviews. If you check out my Facebook and Instagram pages, you’ll see some of my own photographs of Paris. If you can’t make a trip there yourself, I hope my photos and this book will be the next best thing. ‹ Are you ready for a trip to Paris? News and book release updates from USA Today Bestselling Author Sarah Morgan. We will never share names or email addresses with third-parties. You may unsubscribe at any time. The option to unsubscribe will be found at the bottom of each newsletter. If you unsubscribe, your data will be removed.